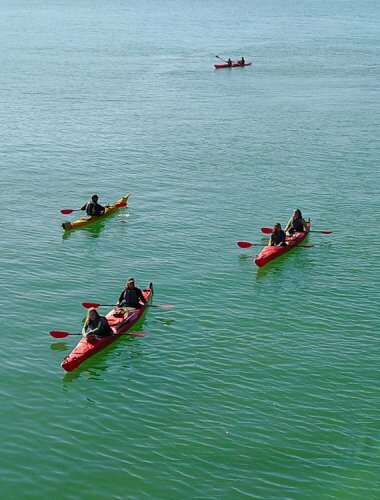 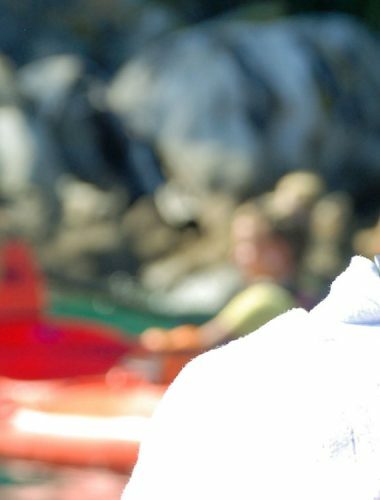 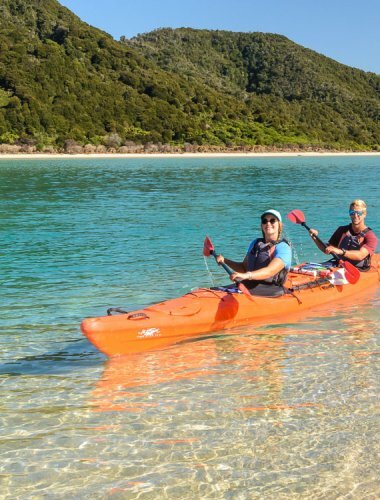 Ideal for: Walking the most scenic section of the Park and kayaking in the calmest waters! 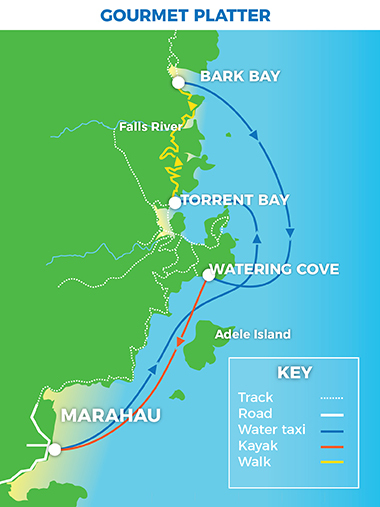 Travel by water taxi to Torrent Bay in the morning. 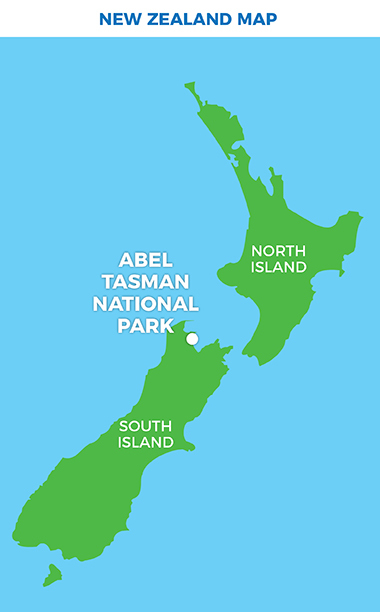 Walk the beautiful coastal track between Torrent Bay and Bark Bay, including across the Falls River Swingbridge. 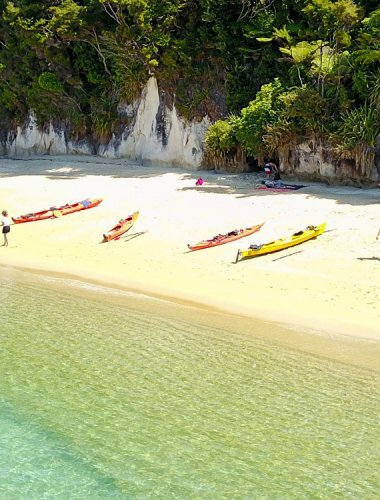 Eat your lunch at Bark Bay before catching a water taxi south, back to Observation Beach. 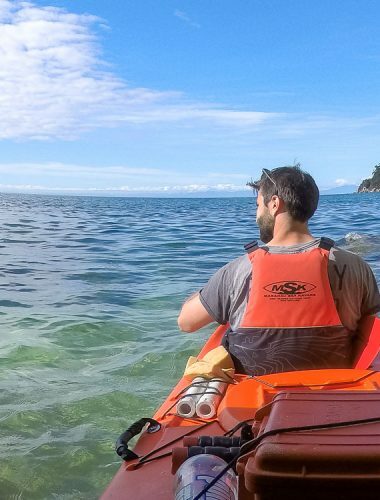 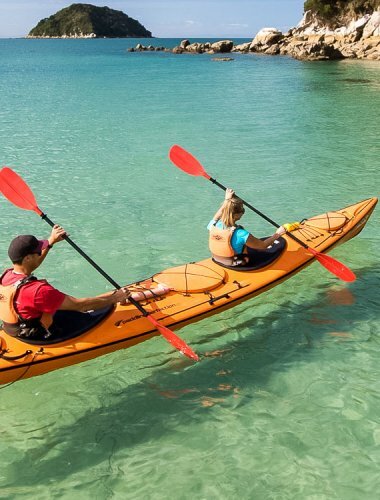 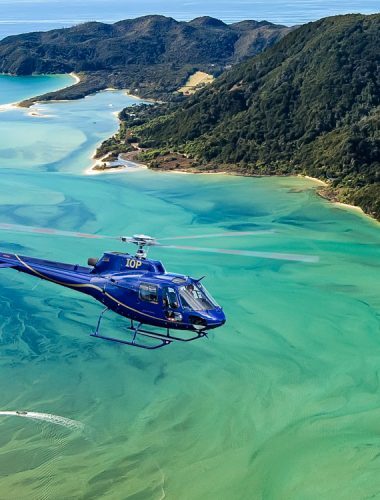 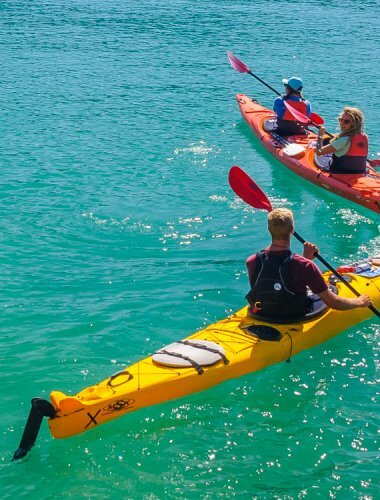 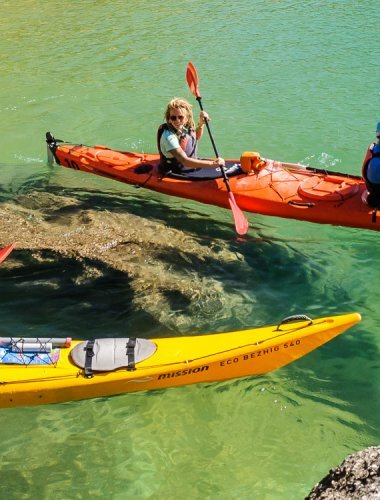 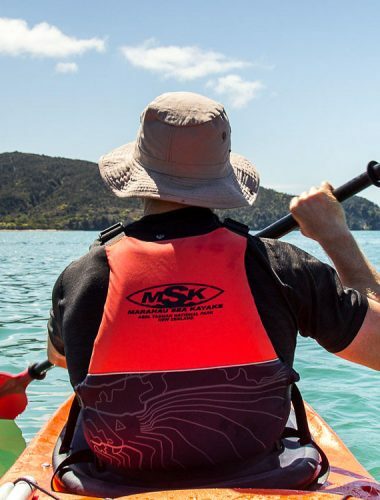 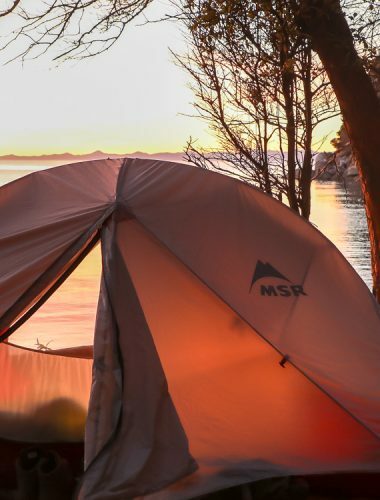 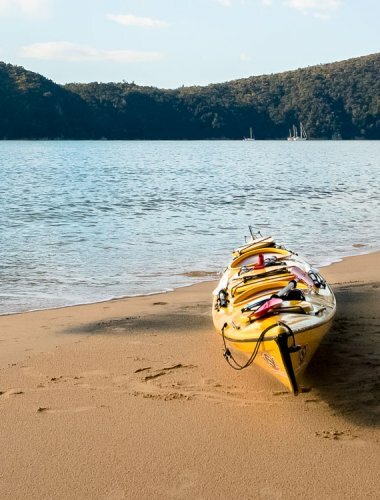 Join up with your guide before kayaking through the sheltered waters of the Astrolabe Roadstead visiting golden beaches, the wildlife on Adele Island sanctuary and the other wonders of the southern Abel Tasman. 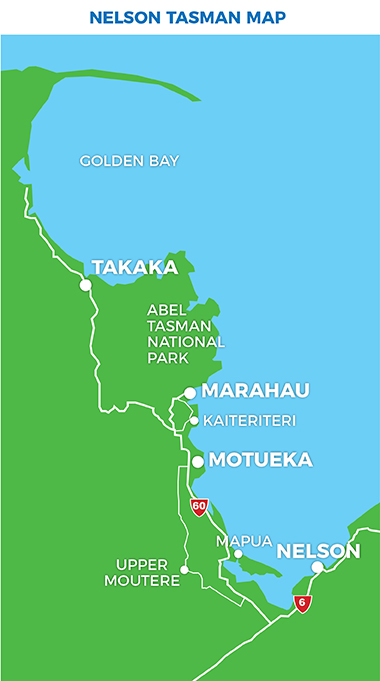 Finish with a sail home to Marahau on the sea breeze.